Most of our research data is covered by restrictions imposed by the Research Ethics Board. However, parts of the research data that are not patient material have been compiled here for public use. Currently available data set consists of the DICOM-datafiles and corresponding sound samples for all the finnish vowels. Some derivatives obtained from the image and sound data are also provided, this includes the surface models for the vowels. 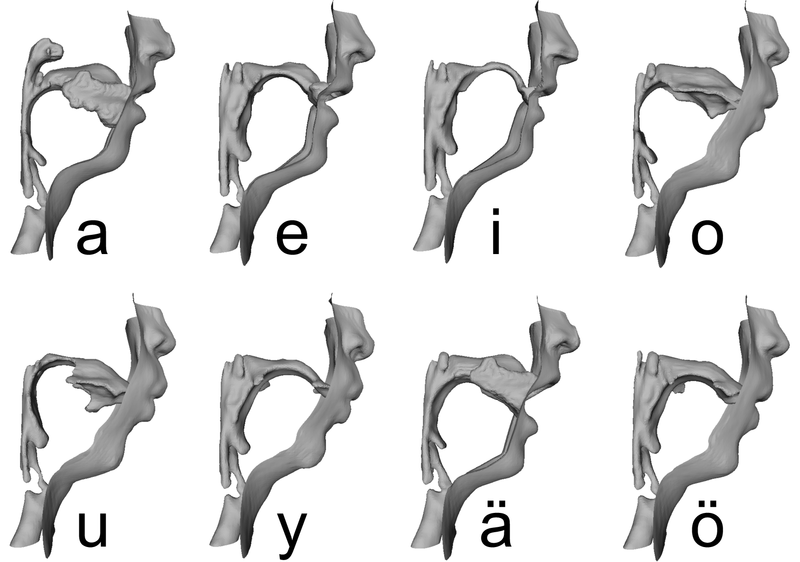 The vocal tract anatomies of Finnish vowels, imaged from a 30 years old healthy male. The released dataset is licensed under a Creative Commons Attribution-NonCommercial-ShareAlike 3.0 Unported License.